Please note: the Hard Labor Creek Reservoir located in Walton County is not owned or operated by Hard Labor Creek State Park or the Georgia Department of Natural Resources. Please visit hardlaborcreek.com for information on recreation opportunities at the reservoir. "Hard Labor Creek State Park’s many beautiful Piedmont habitats intertwine with the historic landscape transformed by the Civilian Conservation Corps, providing solace and solitude for recreation and reflection." While this park may be best known for its golf course, it also offers a wide range of recreational opportunities in a beautiful wooded setting. A lakeside beach is popular with swimmers during summer months, and more than 24 miles of trails are available for hikers and horseback riders. Horse owners even have their own private camping area near stalls. Other overnight guests can choose from fully equipped cottages or a modern campground. With so many ways to relax, it is ironic that the park’s name is thought to come from slaves who tilled summer fields or American Indians who found the creek difficult to cross. Hard Labor Creek is listed in the National Register of Historic Places. Off-road Biking — 17 miles of trails. Hiking Permitted. The Junior Ranger program is based on a set of environmental activities designed to get children outdoors, and have fun learning about the natural world around them. For this ranger-led version of the Junior Ranger program, park staff will lead the activities, which include water studies, cultural history of Hard Labor Creek, recreational activities (seasonal) which could include an introduction to archery program, and kayak trips on Lake Rutledge, introducing children to fishing, and a variety of nature hikes designed to introduce young naturalists to plants, birds, bugs and other wildlife. This program generally is a three day, 3+ hours a day program. Must have at least 5 participants. At the end of the program, participants will receive a Level 1 Deer badge, but will be well on the way to earning the Fox and Owl badge too. Recommended for ages 6–13. $25.00 for groups with 11 or more participants, $50.00 for groups of 5 to 10. Please contact park at least a month in advance to arrange this program. This ranger-led 1.5 mile tour will take folks on a nocturnal tour of the Beaver Pond Loop Trail. We will search and listen for a variety of night-time creatures including insects, frogs, and night time birds like owls and Whip-Poor-Wills. Bring a camera to record your discoveries. Please contact the park at least 2 weeks in advance to arrange this program. This program is about 2 hours. $5.00 per participant. Limit 25 per group, can offer consecutive nights. Discover the many different habitats on the Brantley and Beaver Pond Loop trails. What trees can you find in a Piedmont Forest? 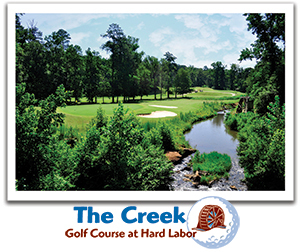 What birds call Hard Labor Creek home? What snakes should I be on the look out for? What is that interesting flower growing off the trail? These are some of the many questions we can answer on this 1.5 mile, 2 hour guided hike. Bring a camera to record your discoveries. Please contact park 2 weeks in advance to arrange this program. $5.00 per participant. Limit 25 per group, can offer consecutive days. (Seasonal) Explore Lake Rutledge by kayak on this ranger-led adventure. Learn about the cultural history of the Park, and the CCC (Civilian Conservation Corps). Look for Bald Eagles and Osprey on the shores of Lake Rutledge while enjoying this relaxing trip on a tandem flat water kayak. Please contact park one month in advance to arrange this program. Space is limited to 12 adults (children under 50 pounds can ride between adults) per tour. Children must be 3 years or older to ride on Kayak. We can offer consecutive tours for larger groups. This program is 1.5–2 hours long. $15.00 per participant.